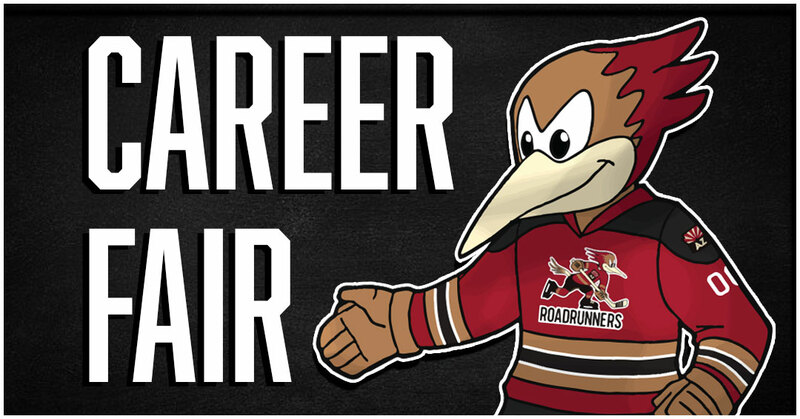 TUCSON, AZ – The Tucson Roadrunners, proud American Hockey League affiliate of the Arizona Coyotes, announced today that the club will host its first career fair on Friday, April 6th. The event, which is free for job seekers, will have employers such as ADP, Agero, Alorica, Dun & Bradstreet, Afni and The Forum at Tucson on hand at Tucson Convention Center starting at 2 p.m. The event will run until 5 p.m., prior to the puck drop between the Grand Rapids Griffins and Roadrunners, which is set for 7:05 p.m. A complete listing of hiring employers will be released prior to the event. Job seekers attending the career fair are encouraged to bring their resumes and dressed for an interview. Additionally, attendees will receive a free ticket to the game that evening. Employers that wish to attend the event will receive 20 tickets included with their booth purchase. To purchase a booth for your company, contact Roadrunners Account Executive, Group Sales Tyler Novy at 520-777-6871. For more information on the team, call 866-774-6253.